Brand: Stand Up For Something. Be counted. If we were to ask your customers to describe your brand in just 2-3 sentences, what would they say about you? What would you want them to say about you? This is linked back to your values, what you value and how you express these values to the market. 3. We’re overwhelmed, unprepared and we lack clarity – in that moment, deep down we struggle to choose the words and fail to articulate the precise meaning and message we want to convey. We end up with scattered thoughts where we make elaborate and ill-defined statements that fail to resonate or convey key messages. The problem is no one will be able to remember or repeat what we say about our business anyway. Average attention spans are diminishing all the time. We therefore miss opportunities to communicate our values and value, connect with people and grow our businesses as a result. The real problem is people are really good at making the simple sound complex. Because many don’t believe that it can or should be easy. And because many believe ‘complex’ sounds far more important (and expensive) than simple. Keeping our message simple and relatable is the brand challenge – but not too simple that people switch off or fail to resonate with your brand. It’s a fine line. Whenever you’re promoting your business, whether its through your website, customer service or advertising, it pays to be smart and make sure you promote the 2-3 values that you want customers to know about you so these brand attributes stick in their mind. They form one element of your brand strategy. This is important because these are messages about what you believe in – what you want to be counted for and remembered for. And your customers need to know this about you to help them differentiate you from competitors. Think of them as strategic communication tools for your business. • design and an experience. The same is true of your business and your brand, regardless of size or revenue. What core values and messages do you want to be associated with? What do you stand for? Clarify these and communicate them. You may never be like Apple or operate at the same level, but you can learn from them and apply their methodologies relative to your circumstances and your offering. Never copy though – you have your own unique identity, focus, perspective and beliefs. The acid test of any effective brand is in independently asking core customers what values your brand represents. If they can’t answer clearly and succinctly in less then 3 seconds then there’s work to be done. Its one thing to stand up for something. It’s another thing entirely to actively express it and associate it with your business. That’ll be the focus of our next blog. 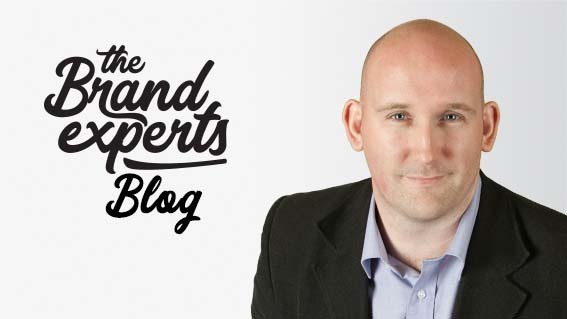 The Brand Experts blogs’ purpose is to impart brand knowledge and insights that help businesses see themselves and the world differently. At The Brand Experts, we believe that perception is everything. Its why people recommend you, why people know, like and trust you and why people buy you. This drives us to help professional services build a ‘brand blueprint’ for business growth. We do this through a series of brand workshops designed to help professionals realise what drives their ‘Why?’, identify their true identity, and what matters to them and their customers most. The ultimate reason? To make their difference in the world.